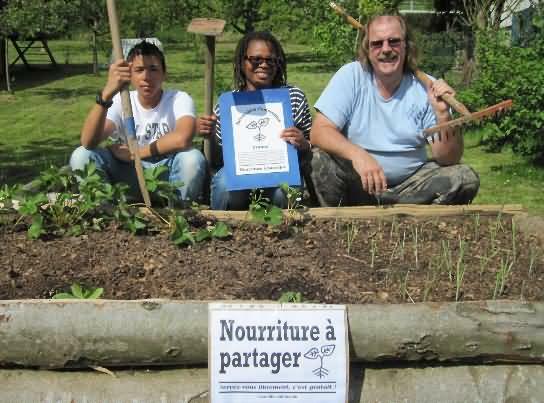 The first Incredible Edible raised bed if France was made by two you people in the village of Colroy la Roche to grow food for all to share. “Nourriture à partager”. 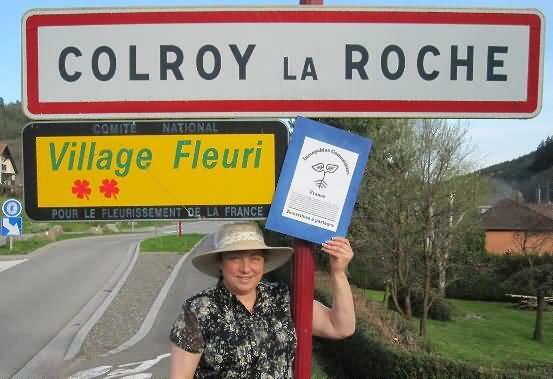 This is Veronique who tells everyone, “we can start a single village alone! And our new friends said to us, they have another neighbor who wants to participate, and another, and maybe soon all the street. And we hope, in, all the village, it will be like the new legend of Todmorden in France!